January 1, 2011 - "Pressing Through The Years"
I am pressing forward with my third year of posting daily photos (almost daily) for 2011. 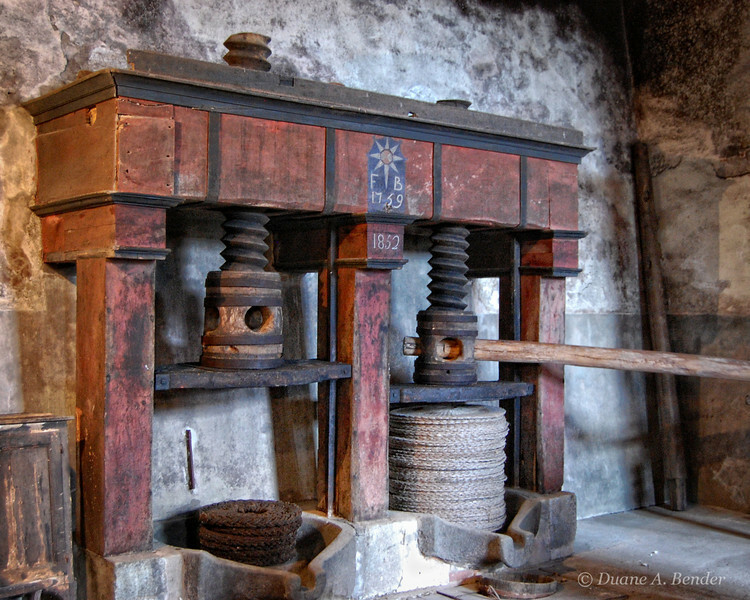 This ancient Olive Press was photographed in Italy. I really like this Duane. It's a great comp, wonderful capture of the old colors with such soft and wonderful tones juxtaposed with all the textures. Nice work on this. Nice shot and lots of rustic items here; pursue and press on (with the dailies). It's challenging for me, too - my real job is keeping me quite busy and I don't hav eas much free time to shoot!!!! Wonderful textures throughout this shot! And a good press shot it is! Wonderfully done, fantastic light and texture. Great find, this has a beautiful patina! Wow ..third year posting, that's dedication!! lol@paula. But I'm impressed, too. Great capture!